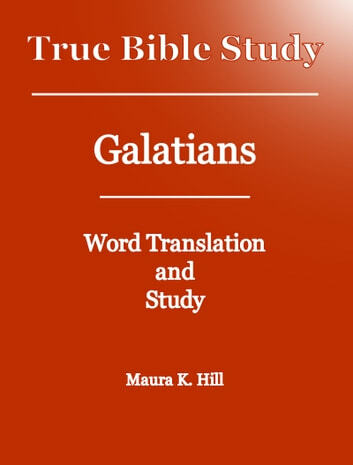 As one of a series of outstanding studies into the truth of the Word of God, this book “Galatians” provides details of what the Apostle Paul wrote to the churches of Galatia located in central Asia Minor. He includes information regarding the gift of holy spirit, the truth that Christ has redeemed all Christians from the curse of the law, and insight on how to live according to the new creation of spirit. 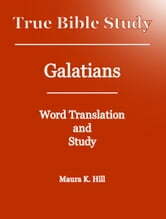 It also contains a new translation by Maura K. Hill from the Greek papyri and texts of the Bible. It is one of the best translations in the world today and is ideal for use as a companion to alternative translations and studies. By providing this exciting and inspirational understanding of the Scriptures, Maura gives us a true Bible study that makes known God’s Will for our lives, with the opportunity to be saved, to come to a full knowledge of the truth, and to live in accordance with God’s intention.